Yoakum Community Hospital, Yoakum, Texas, is a 25-bed Critical Access Hospital that has served neighbors in Yoakum and the surrounding area for 90 years. 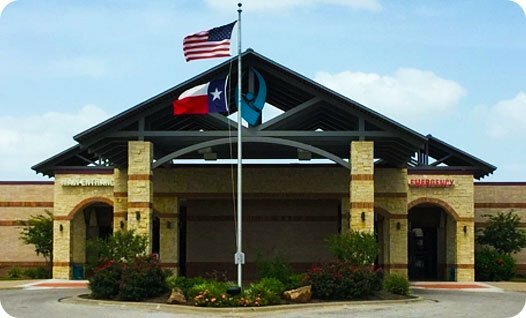 Yoakum Community Hospital delivers comprehensive services with compassion and commitment. A broad range of inpatient and outpatient services includes laboratory, rehabilitation, imaging, emergency, general medicine, diabetes education, treatment for sleep disorders, surgery and the many medical specialists who schedule patient appointments at the YCH Outpatient Clinic. The hospital holds designation as the only Level IV trauma center in the area. We believe this recognition indicates the quality of care and our ongoing commitment to patients in Yoakum and the surrounding communities.